WikiLeaks is facing a money crisis after its account with the internet payment company it uses was closed down. The reason for this, according to the Guardian, is because WikiLeaks has been put on an official US watchlist and an Australian government blacklist. The 'blacklisting' has been going on since August - around the same time as the Pentagon leaks. Julian Assange, spokesperson for WikiLeaks, says that he has had contact with Moneybookers and gave the Guardian access to an email he received from the company that read: "Hi Daniel, you can inform him that initially his account was suspended due to being accessed from a blacklisted IP address. "However, following recent publicity and the subsequently addition of the WikiLeaks entity to blacklists in Australia and watchlists in the USA, we have terminated the business relationship.'" This isn't the first time that WikiLeaks has had money problems. At the beginning of the year, the site asked for more donations as it could no longer continue on the money it was receiving and promptly suspended the site. In February WikiLeaks announced it had been given the $200,000 it needed to continue. 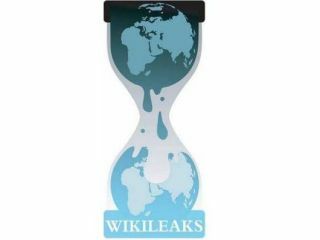 In July this year WikiLeaks release thousands of documents relating to the Afghanistan conflicts. It also found itself on the Time's 50 Best Websites list in August. WikiLeaks is currently down at the moment, with the site noting that it is "currently underoing [sic] scheduled maintenance."